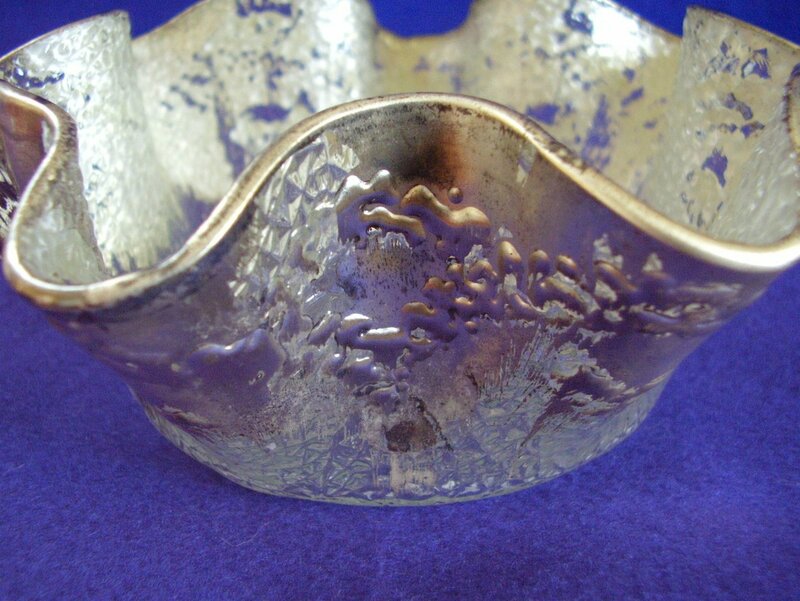 Elegant cracked ice pattern ruffled edge, silver washed candy dish. 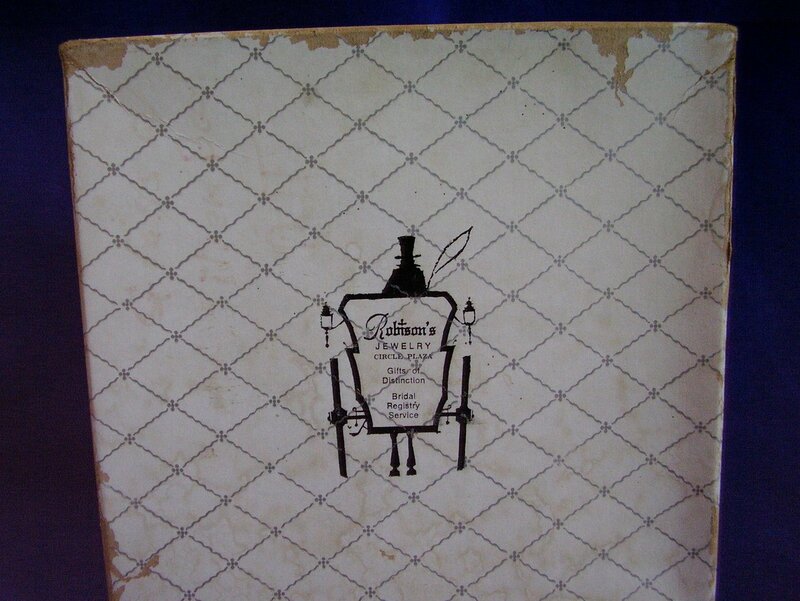 A treasure from gentler times, when the presentation of confections was as important as the confection itself. 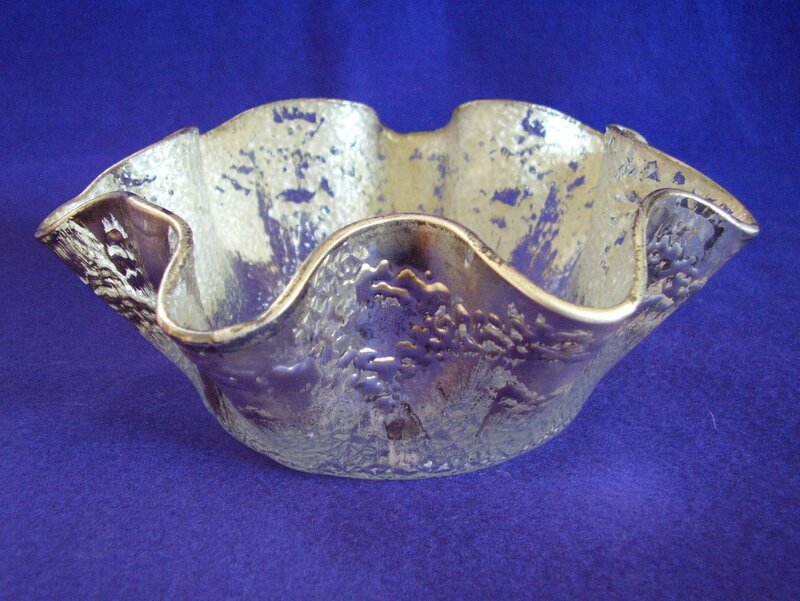 Elegant cracked ice pattern ruffled edge, silver washed candy dish. A treasure from gentler times, when the presentation of confections was as important as the confection itself. 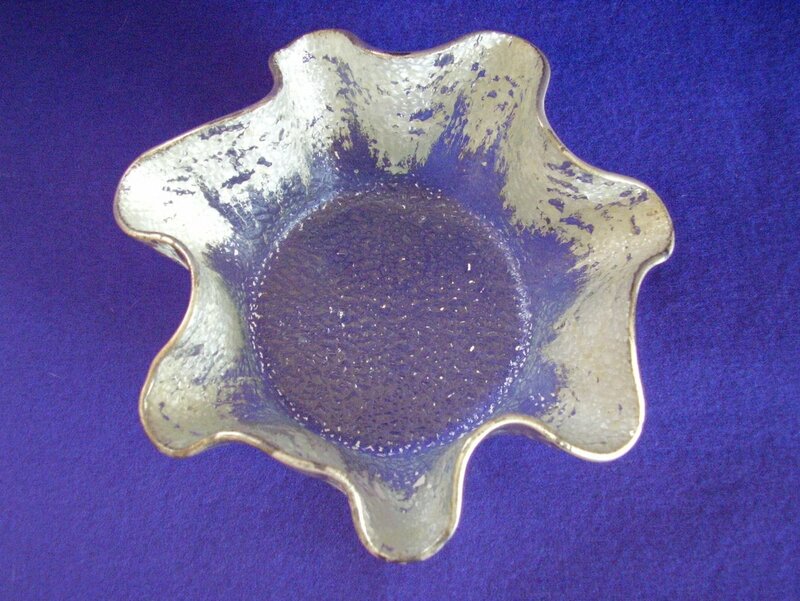 Wonderfully designed, this mid century modern example of the glass makers art is perfectly sized at 2 1/2 inches tall, 6 1/2 inches across from ruffle to ruffle, with a base about 4 inches in diameter A timeless design, perfectly at home in a modern,Victorian parlour, cottage chic, or eclectic setting, this elegant little treasure comes in the original box from Robisons Jewelry, Circle Plaza, Gifts of Distinction, Bridal Registry Service. Bowl has no cracks or chips. Some tarnish to the silverplate. The original box has wear and some watermarks.